Scientists are developing a new paradigm for how the brain functions. They propose that the brain is not a huge fixed network, as had been previously thought, but a dynamic, changing network that adapts continuously to meet the demands of communication and computational needs. Salk Institute professor Terrence Sejnowski (a pioneer in the field of computational neuroscience) and University of Cambridge professor Simon Laughlin argue that the human brain has evolved to operate as an enormously efficient "hybrid device," capable of making far more sophisticated computations than the most powerful computers, and the long-distance communication systems in brains have been optimized by evolution for energy efficiency. 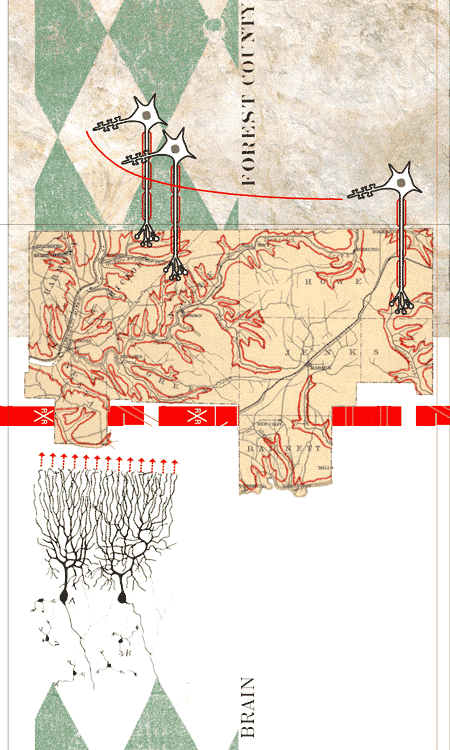 "In the past, we were only able to look at brain function by looking at single neurons or local networks of neurons. We were only able to see the trees, so to speak," said Sejnowski. "With breakthroughs in recording techniques including brain imaging, which gives us a global picture of brain activity, and advances in computational neurobiology, we can now take a more global perspective. We're looking at the entire forest, and we're asking the question: How has the forest evolved?" >from *Salk Researcher Provides New View on How the Brain Functions*. September 25, 2003. > computational neuroscience on the world wide web.